The original Parliament of Scotland (or “Estates of Scotland”) was the national legislature of the independent Kingdom of Scotland, and existed from the early 13th century until the Kingdom of Scotland merged with the Kingdom of England under the Acts of Union 1707 to form the Kingdom of Great Britain. As a consequence, the Parliament of Scotland merged with the Parliament of England to form the Parliament of Great Britain, which sat at Westminster in London. Following a referendum in 1997, in which the Scottish electorate gave their consent, the current Parliament was established by the Scotland Act 1998, which sets out its powers as a devolved legislature. The Act delineates the legislative competence of the Parliament – the areas in which it can make laws – by explicitly specifying powers that are “reserved” to the Parliament of the United Kingdom: all matters that are not explicitly reserved are automatically the responsibility of the Scottish Parliament. The British Parliament retains the ability to amend the terms of reference of the Scottish Parliament, and can extend or reduce the areas in which it can make laws. The first meeting of the new Parliament took place on 12 May 1999. In August 2007, the incoming SNP administration decided to rename the Scottish Executive ‘the Scottish Government’ and this terminology has now been generally adopted by the opposition political parties and the media. The Scotland Bill 2010-11 will modify the Scotland Act to replace Scottish Executive with Scottish Government. The Scottish Government is responsible in Scotland for all issues that are not explicitly reserved to the United Kingdom Parliament at Westminster by Schedule 5 of the Scotland Act 1998; such devolved matters include NHS Scotland, education, justice and policing, rural affairs, economic development and transport. The Scottish Government has the responsibility for an annual budget of more than £27 billion in the financial year 2005-2006, rising to more than £30 billion in 2007-2008. The Government is led by the First Minister. The Scottish Parliament nominates one of its Members to be appointed as First Minister by the Queen. He or she is assisted by various Cabinet Secretaries (Ministers) with individual portfolios and remits, who are appointed by him with the approval of Parliament. Junior Scottish Ministers are similarly appointed to assist Cabinet Secretaries in their work. The Scottish Law Officers, the Lord Advocate and Solicitor General can be appointed from outside the Parliament’s membership, but are subject to its approval. 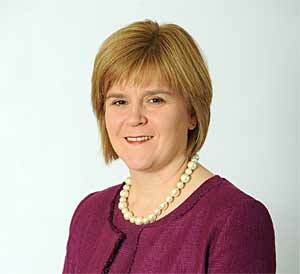 The First Minister, the Cabinet Secretaries and the Scottish Law Officers are the Members of the Scottish Government. They are collectively known as the “Scottish Ministers”. 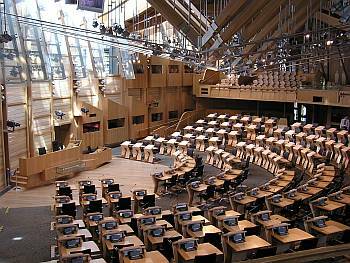 The members of the Government have substantial influence over legislation in Scotland, putting forward the majority of Bills that are successful in becoming Acts of the Scottish Parliament. Since 2007, the Scottish Government has been formed by the Scottish National Party who are the largest party in the Scottish Parliament, although prior to 2011 they did not possess an overall majority. In the 2011 Scottish Parliament election, the Scottish National Party won the first overall majority in the history of the Scottish Parliament. On the 18th of September 2014 a referendum was held in which the Scots could vote for independence. It turned out that the No voters won over the Yes voters albeit with a small majority. In the aftermath of the referendum Alex Salmond resigned and the position of First Minister was taken over by Nicola Sturgeon (picture). The Scottish Cabinet normally meets weekly on Tuesday afternoons in Bute House, the official residence of the First Minister. It is the supreme collective decision-making body of the Scottish Government. The Cabinet consists of the Scottish Ministers (Cabinet Secretaries), excluding the Scottish Law Officers (the Lord Advocate and the Solicitor General). The Lord Advocate attends meetings of the Cabinet only when requested by the First Minister, and he is not formally a member. The Scottish Parliament is the devolved national, unicameral legislature of Scotland, located in the Holyrood area of the capital, Edinburgh. 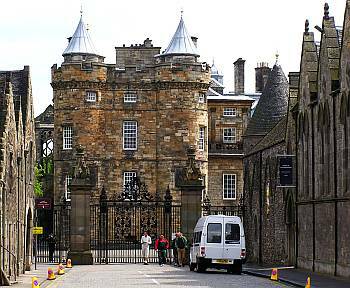 The Parliament, informally referred to as “Holyrood”, is a democratically elected body comprising 129 members known as Members of the Scottish Parliament (MSPs). Members are elected for four-year terms under the mixed member proportional representation system. As a result, 73 MSPs represent individual geographical constituencies elected by the plurality (“first past the post”) system, with a further 56 returned from eight additional member regions, each electing seven MSPs. The most recent general election to the Parliament was held on 5 May 2011.